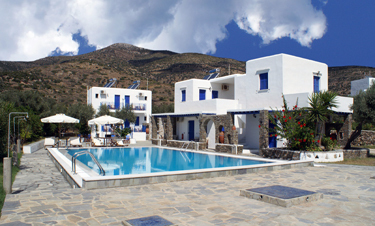 The "Villa Antoniadis" rented room complex is situated in Platys Gialos of the island of Sifnos. 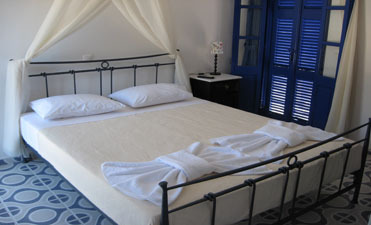 It is built with traditional Cycladic architecture and is located just 200 metres from seaside. The complex includes two-bed, three-bed and four-bed studios equipped with A/C, TV, internet, hair-dryer, fully equipped kitchen, fridge. First floor studios have veranda with view to the sea. There is also a car park and a swimming pool.